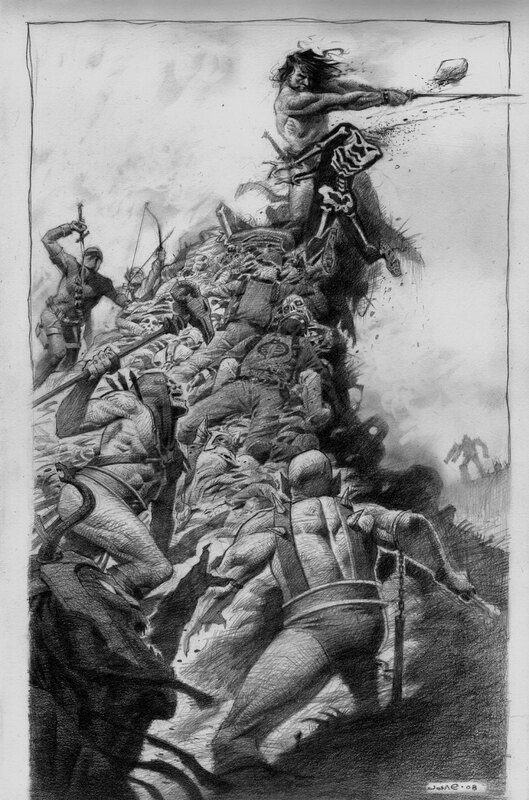 Did you see the picture of Conan fighting our heroes from the ’80s? Now you have. By Jerome Opeña – check out his site! Who's the guy in the skeleton suit getting his head chopped off supposed to be? I'm thinking the bald pointy eared guy with nunchuks is one of the Thundercats, but I'm not sure. Skeleton guy, I am guessing Scare-Glow from Masters of the Universe. And the nunchucks guy is clearly Panthro.